During the national housing crisis of 2014, the Israeli government passed legislation that appointed a fast-track planning committee known as the National Committee for Endorsed Housing Zones ("VATMAL" in Hebrew) and granted them the power to override standard planning processes and existing national plans in order to rapidly approve large-scale construction projects for a period of four years. 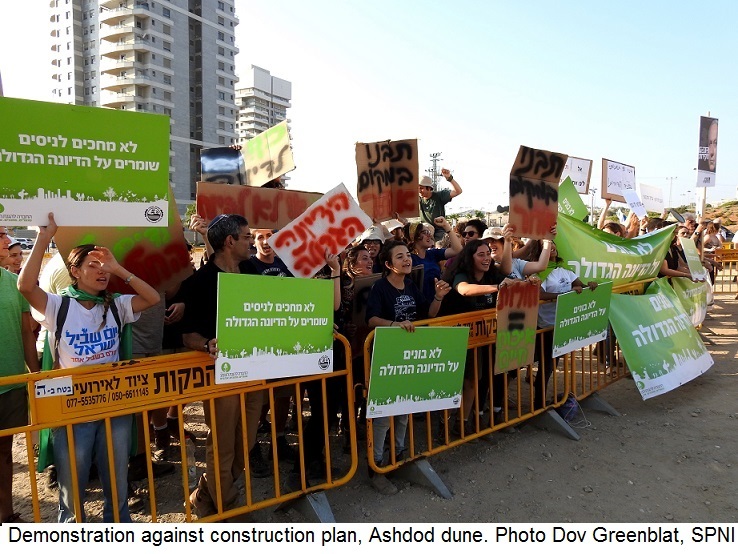 In response, The Society for the Protection of Nature in Israel (SPNI) spearheaded the establishment of "The Forum for Democratic Planning," a broad coalition consisting of more than 20 civil organizations that sit on local and national planning committees as representatives of the public and champions of the environment. Every member organization fiercely opposed the changes made by the government calling them undemocratic and unlawful, pointing specifically to the way that they bypassed the public and professional planning authorities. In addition, SPNI initiated activities to raise public awareness and published reports monitoring the committee's work. The latest report, which was published in December 2017, shows that while the committee was established to provide a quick fix to the housing shortage, none of the housing projects that received their approval have moved forward to the building phase – to date, not even one apartment has been built. In January 2018, as the committee's mandate approached expiration, SPNI and 20 other organizations appealed Finance Minister Moshe Kahlon and Member of Knesset David Amsalem, who was the Chairperson of the Internal Affairs and Environment Committee at the time, calling for the discontinuation of the National Committee for Endorsed Housing Zones, highlighting the social and environmental destructiveness of an unregulated commission of this kind. Unfortunately, the appeal fell on deaf ears, and in early February 2018, the Internal Affairs Committee issued a decree, that was subsequently signed by the Prime Minister and the Finance Minister, to extend the committee’s mandate for an additional year. SPNI strongly opposes this move, which we regard as damaging, unnecessary and in violation of the public's right to democratic planning. With the deadline for submitting objections to this extension set for the end of February, we launched a campaign encouraging the public to voice their concern and discontent. 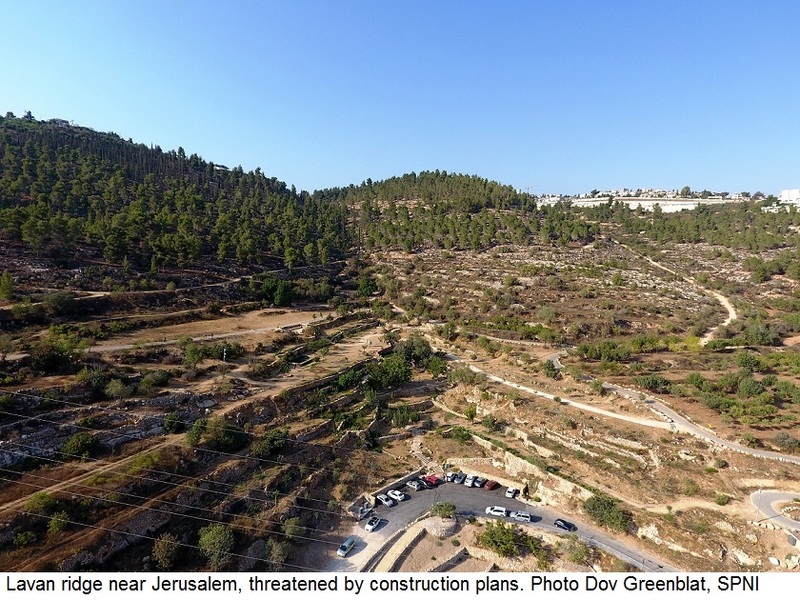 Within days, nearly 900 people e-mailed the Chairman of the Knesset Internal Affairs and Environment Committee, calling on him not to rescind the approval for extension. Each letter makes it clear that this committee, composed mainly of government representatives, rejects the vast majority of public objections to its plans, and thus forces the public to turn to legal proceedings in order to be heard. We believe that this fast-track committee is a double menace: its past record of inefficiency suggests that it will not solve the severe housing shortage, and its very existence sets a bad precedent that may lead to the detriment and decay of our society, government and unique environment. In addition to derailing our democratic system, the committee's plans will create a suburban-sprawl, inducing social isolation and deepening social-economic gaps between neighborhoods. When destroying open and agriculture areas, they will force residents to use private vehicles, which will only exacerbate Israel’s current transportation catastrophe and intensify air pollution. In essence, this committee is simply pushing the problems off to the implementation stage, rather than solving them during the planning phase. Immediate action must be taken to ensure that any attempts to solve the housing crisis focus first on the construction of housing plans that have already been approved by existing planning committees, first and foremost the regional committees who speak for their constituents and work to avoid negative environmental impact. 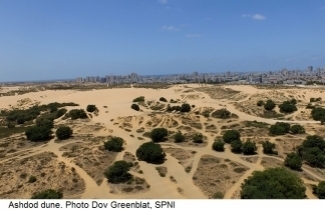 SPNI will continue to fiercely defend the public's right to a sustainable and democratic planning process that protects Israel’s nature while providing solutions for current citizens and all future generations.